UK & Eire / The World’s End is out now! Like the poster says, ‘OUT NOW!’. We do hope you enjoy. 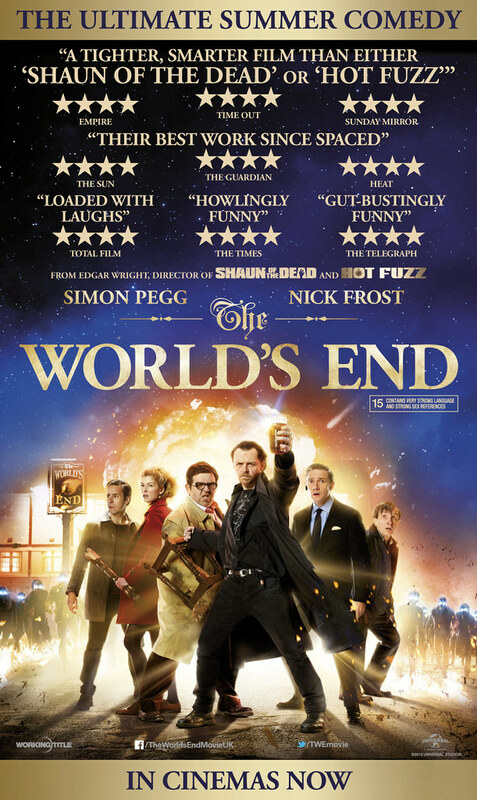 Check the link to the full list of locations below to see if your local cinema is showing The World’s End and book tickets HERE or on the relevant cinema website.